Serial killer Jonathan Martin Delaware Deseronto is stuck with two flat tires on an abandoned construction site with the body of his latest victim, the lovely co-ed Marissa Madison, in the trunk. 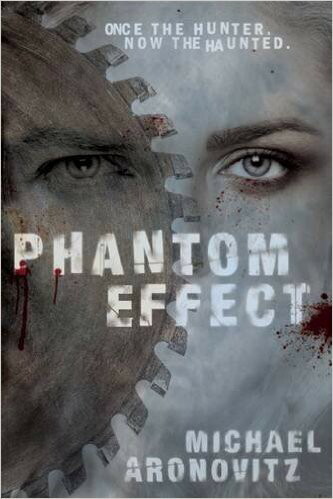 What he doesn’t realize is that the girl was psychic, and her ghost will force Deseronto to live the last fatal week of her life inside her body as a passive passenger, making him experience the mind numbing terror of being stalked by himself. Review by PublishersWeekly.com – read more. Rudy Barnes, an adjunct professor, is attending a routine faculty meeting when he is struck by the beautiful April Orr. 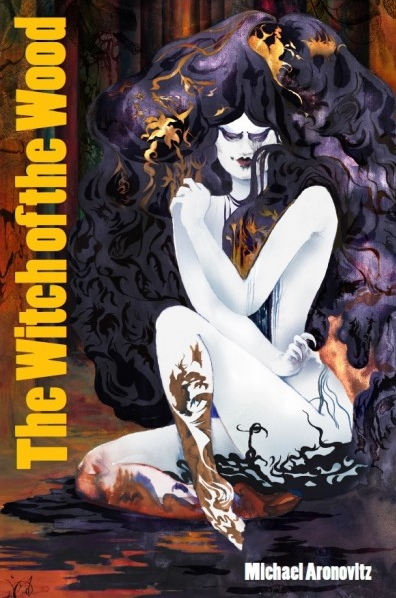 This is the beginning of a bizarre supernatural adventure in which April, a “witch of the wood,” explains to Rudy the true origin of the female of the species. Rudy must now team up with Wolfie, the child he bore from April, and his ex-wife, Pat, to battle cosmic forces who are seeking to destroy the witches and bring about a universal cataclysm. In this gripping novel, Michael Aronovitz displays the crisp and riveting prose, the careful delineation of character, and the powerful horrific effects that have enlivened his previous novels and tales. In addition, he provides a thought-provoking mythic background to an epic struggle of good and evil. She walks ’cause she can’t breathe. She’s angry that you can. Mikey Fitzsimmons and his friends went to St. Mary’s Cemetery to hang out and tell ghost stories. 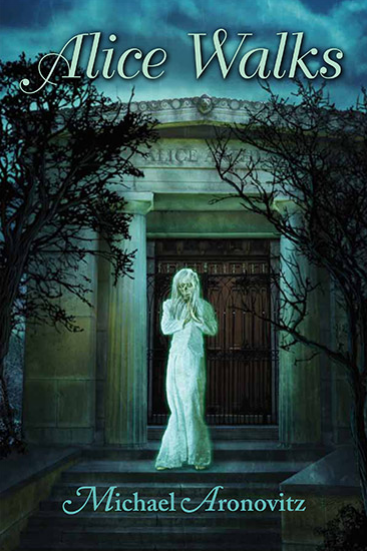 As luck would have it, Mikey’s father was the gravedigger and had the master set of keys to the tool shed and mausoleums. Frightening his pals with a legend he’d invented of how fourteen-year-old Alice Arthur had drowned the previous summer, Mikey led them down: down to open the heavy granite door, to move aside the mosquito netting, to creep up for a close look at the body… but they had no idea what they were to awaken down there. 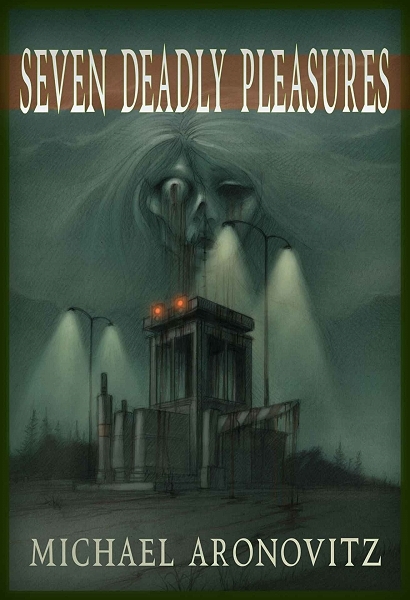 Walk alongside a serial killer who is oh-so-proud of his ‘artwork’; find out what happens when a well-meaning teacher tries to share his strange toys with a student in need; discover monsters on a highway that never ends. 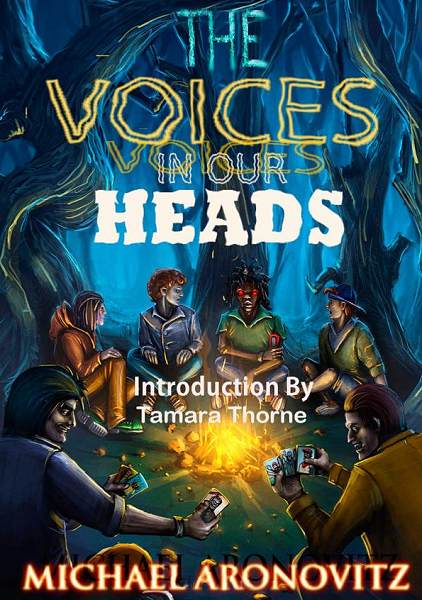 The Voices in Our Heads gathers twelve stories themed after the months of the year, each told in a different, sinister tone. “Aronovitz brings his experience as a teacher to the fore in The Voices in Our Heads, both in his protagonist’s professions and through his own ability to draw the reader into the tale, to make one think and feel.” – Erin Thorne, author of Behind the Wheel, Diane’s Descent. Each of the seven tales that Michael Aronovitz brings together in his first collection of stories is a powerful, hard-hitting specimen of contemporary weird fiction. From “How Bria Died,” which tells of a baleful entity lurking in the bowels of a placid-seeming high school, to “Quest for Sadness,” with its searing analysis of an aberrant mind, to “The Legend of the Slither-Shifter,” in which a babysitter discovers far more than she expected in an urban household, Aronovitz displays an enviable skill in the handling of supernatural conceptions. The capstone of the collection is a long novella, “Toll Booth,” a richly complex tale of death and betrayal among teenagers. Michael Aronovitz is a new voice in horror fiction, but it is one that will be heard far and wide. Contained within this collection, you’ll find How Bria Died, The Clever Mask, Quest For Sadness, The Legend of the Slither-Shifter, The Exterminator, Passive Passenger, and Toll Booth.